Zibo Bright Future International Trading Co., Ltd. as one of the leading manufacturers and exporters of wide variety of ceramic ware. It is located in china ZIBO-the capital of Qi state, and is the leader of china’s industry. 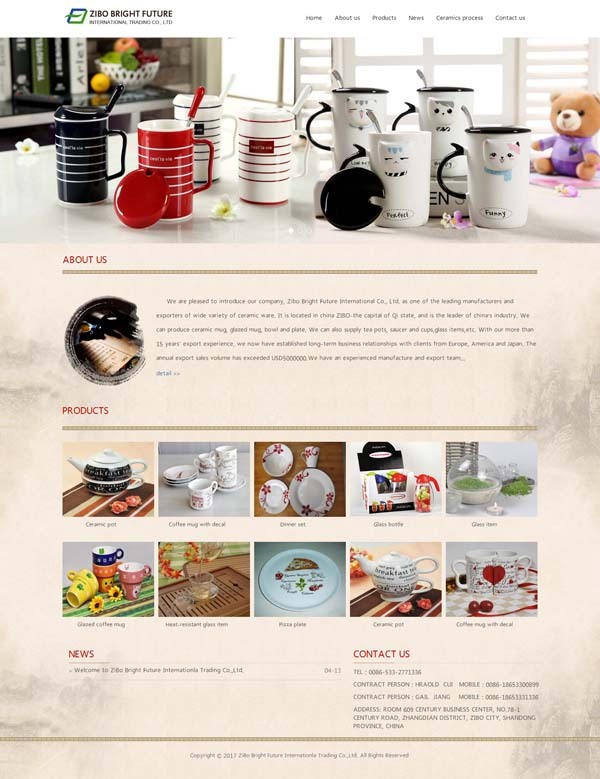 We can produce ceramic mug, glazed mug, bowl and plate. We can also supply tea pots, saucer and cups,glass items,etc. With our more than 15 years' export experience, we now have established long-term business relationships with clients from Europe, America and Japan. The annual export sales volume has exceeded USD5,000,000.